CD released by Samadhisound (sound-cd ss017) on 24.05.10. To fans of free improvisation and the Japanese onkyo, or noise scene, Toshimaru Nakamura needs no introduction; to newcomers, the name of his instrument – the no-input mixing board – may sound forbidding, as if its output would sound more machine than music. But for over a decade, Nakamura has cultivated a world of tones from this unlikely instrument, both harsh and mesmerizing, humanist and expansive – with something to lure in music fans of any stripe. Starting with 2000’s No-Input Mixing Board, Nakamura has explored the instrument’s range in live settings around the world and in his own solo home recordings. When he’s performing alone, Nakamura lets the mixing board fill the soundstage – for example on the opening track of Egrets, “Nimb number 42,” where the tones resonate like a shell placed to your ear. Chimes, swells and scratching highs trade the spotlight on “Nimb number 44” before Nakamura dismisses them with a squeak of a knob, while “Nimb Number 43” builds in throbs and echoes before distintegrating beneath scratches and high tones. Two guests join Nakamura on this release. “Semi” is a duo with acoustic guitarist Tetuzi Akiyama, a long-time collaborator who has performed with Nakamura since 1997. “Since we started to play together, we have been functioning as a unit to host guests to form a trio or quartet, sometimes larger. I think that has given a character to our duo. Observing ourselves, it seems like we don't play ‘on’ each other so much. Instead, we reserve some room for other musicians and listeners.” Their duet is spacious, but complete; Akiyama’s ringing guitar leaves wide spaces where Nakamura chatters and fizzes, quiet but busy like a bird circling a beheamoth. By contrast, Nakamura had never worked with Arve Henriksen before a 2009 session in London, which was organized by David Sylvian during the recording of his audio installation, When We Return You Won’t Recognize Us. Given a list of performers who were available to work with him, Nakamura chose Henriksen, who recorded duo and solo performances for this project. The in-demand trumpeter and co-founder of the acclaimed electroacoustic group Supersilent, Henriksen here sticks to breath sounds and instrument noises: we hear every exhalation and every click of his valves on “Heater/Refrigerator,” while on “Tane” the two banter vigorously, bubbling ideas from the guts of one instrument to the other. As Nakamura explains, “The instrument still surprises me. I work with analogue audio feedback, utilising inexpensive gears, so it is very difficult or impossible to control perfectly. But technique is not the most important matter. I care more about my relationship with the instrument than how to control it.” Nakamura is modest and generous in his collaborations. 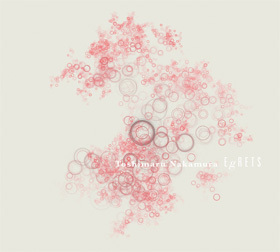 And yet if Nakamura lacks the ego of a rock guitarist, Egrets demonstrates an uncompromising sensibility. His source materials are capricious but the pieces he constructs are impeccable. The instrument doesn’t lead him; he strikes a balance with it, and he knows exactly when to agree with it.